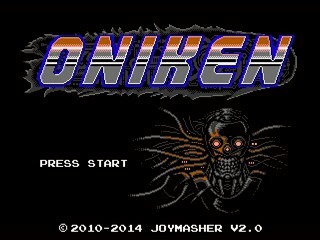 After a global war nearly destroyed humankind, an evil cybernetic armada called Oniken rose up to oppress any survivors. A small rebel group led by General Zhukov attempts to defend against the Oniken, but are unsuccessful. A legendary ninja mercenary with an unknown past, Zaku, is offered to join the resistence as he's believed to be the only one capable of destroying the Oniken. Best time: 0:16:52 by 'Thaan' on 2014-07-16.